BMW may not be the first brand you think of when it comes to eco-friendly vehicles but with the 2015 BMW i3 you’ll have to think again. Not only is it an electric car but it was bestowed the 2015 Green Car of the Year award by Green Car Journal. Here at BMW of Bend, serving the Prineville and Redmond areas, we couldn’t be more pleased to have this electric car on our showroom floor. After all, the dedicated sales team at your local BMW dealership know that there is a segment of the market that is clamoring for a green vehicle that’s also luxurious. So what made the 2015 BMW i3 stand out from the pack in the eco-friendly category? For starters the 2015 BMW i3 was designed with a small environmental footprint and zero emissions. Not to mention an on board engine-generator that gives the battery extra range. The award didn’t only look at its green attributes but it also considered availability of the vehicle. Guess what? The 2015 BMW i3 just happens to be available BMW of Bend, your friendly dealership serving the Prineville and Redmond areas. At BMW of Bend we have a wide BMW inventory including the 2015 BMW i3. Our staff of knowledgeable and experienced BMW dealers are standing by to show you around the 2015 BMW i3 or any other BMW vehicle you want to check out. Did we mention we also have an expansive inventory of used BMW cars and trucks in the Prineville and Redmond areas? Then what are you waiting for? 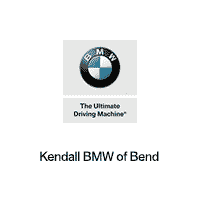 Get on down to BMW of Bend to test drive the vehicle of your choice today.